I know only my name. Beyond that is confusion, a void where fantasy and reality swirl together. Fairies, Giants, Elves, Dwarves, ancient Keepers, and … Dragons? A dark soul threatens the Five Kingdoms, but I am powerless to stand against him, overwhelmed by phantom memories, broken and lost. Ocilla can’t remember anything but her name. She is rescued from a prison, she and her rescuers are pursued by many dark things, and only Ocilla can stand against the evil that is threatening to consume the Five Kingdoms. But until her memory returns, how will she have any idea how to save anything? 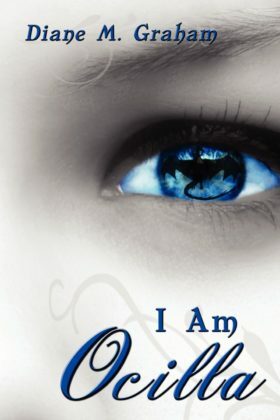 I am Ocilla is a literary ball of string, combining fantasy, allegory, and mystery that slowly unwinds to reveal a beautiful picture of one woman’s identity in Christ. Prophecy, a cursed land, talking animals, fairies, dragons, and a chosen one–this book is a creative journey, not just for the mind, but for the soul. It’s an interesting way to tell a story. If you like fantasy, you should give this one a try.